Ask fellow campers about "Stone Mountain Park" and nearby attractions. Question: I am interested in reviews of the rental campers (rental rv's)......can you share your experiences? Answer: I have no experience with rented RVs, only ownership. But, i see lots of RVs from Cruise America. We've been camping here for at least 35 years. Lately we have stayed in loops C, E or F as they are wide, have few trees and level. This time we had to stay in loop L. It was horrible. The sites were dirty. They looked like they hadn't been swept, raked, repaved or had their fire rings clean for about 35 years. The pavement was uneven, heaved from tree roots, and had drop-offs of up to 6" with the pavement breaking off on the sides. We just won't go back if we have to stay in a site other than C, E or F loops until the management decides to spend the $64/site fee on some repairs to the wooded area sites. We camped at Stone Mountain Park in a Fifth Wheel. Most of the park is heavily wooded, we needed to use their cable, which was fine. The sites are partially paved, and the roads are a little tight, but no trees scraping your coach. Shuttle service is available to all the attractions at the park (train ride, light show, etc). Water pressure was good. There are plenty of shower buildings throughout the park. Some sites are on the lake. The wifi is not real fast. This is the only nice park in the Atlanta area. We camped at Stone Mountain Park in a Motorhome. Very nice park with very spacious spaces. 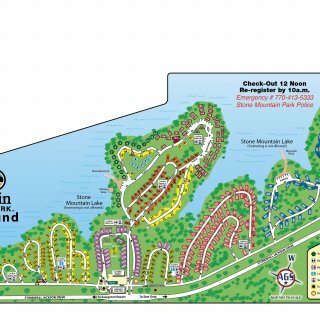 Beautiful park layout with lakes and hiking trails We camped at Stone Mountain Park in a Motorhome. 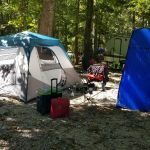 This review is just about the campground at Stone Mountain Park. It has nothing to do with the rest of the beautiful park. Everyone has to pay the $20 entrance fee just to drive to the office. All employees are very nice and helpful. We had site #317, a standard FHU site in Loop M. We were already hesitant to drive into the woods when we saw the narrow, rough road and lots and lots of low hanging trees. we were crawling to our site over broken asphalt and exposed roots. The site was even worse, 8 inches of boards needed to level the trailer. After unhooking I had to lower the front about 15 inches to be level back to front!! The electric station was falling apart but worked. It got repaired the next day. Unfortunately it was getting dark and we didn't go back to ask for another site. Cable, electric, water, sewer worked fine. It was the worst campsite in 12 years of extensive traveling and we will never go back. T-Mobile was weak and slow. We camped at Stone Mountain Park in a Fifth Wheel. We won't be back. First annoyance was a $20.00 entrance fee to get into the park, added to the already high rates for the quality of what they offer. That fee is collected at a toll gate that was about 8'6" wide and extremely difficult to maneuver through without damage. No mention of that extra fee was provided on registration, or on the web. Check-in process was not friendly at all. Another annoyance was the crumbling asphalt on the camp pads. The rest of the "attraction" experience was over commercialized, designed solely to extract cash. Laundry room was old, beat-up and dirty. Georgia needs to take a second look at this facility, and the company that runs it. We camped at Stone Mountain Park in a Motorhome. This park needs some road work. The asphalt is breaking away, and the tree roots have pushed up the roads quite a bit. The roads are narrow with trees and cars to watch out for, and the site is gravel and not very level. We were in site # 307 pull thru, and it was fun hooking up at an angle. It was a nice park to walk all the loops with the dogs, but was pretty deserted in late October when we stayed there. This park has a lot of potential if some money were put into it. We camped at Stone Mountain Park in a Fifth Wheel. Gone with the Wind Museum tour was OK, and would recommend it if you are a fan of that movie. The Kimball House restaurant is great if you like oysters. They have about 20 different oysters to choose from from all over the US. We arrived only to find that our paved site was so old and torn up with roots and broken pavement, the RV would not level. After an hour of trying we went back to the office to ask if we could move to another site. There was one person working and I waited in line for around 35 minutes waiting to find out if we could change sites. They said we could, but it would be an additional $20 per nite charge. The second site we had no problems getting the rig set up. The water was very rusty for the first 1/2 hour we had it connected. 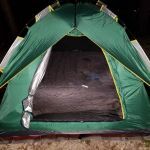 We spoke to a manager a few days after we left regarding the first site and she said it is an ongoing problem because the campground is run by the state and they do not fix or take care of the sites. The people at the campground just run it. In addition, it was not listed on the website or when we got our confirmation, but to actually get to the campground, you have to pay a $20 fee per vehicle to get in the park. Another $40 we had to pay and were not aware of. We probably would not go back. The pricing is very high for what you actually get. We camped at Stone Mountain Park in a Fifth Wheel. Like others have stated, the roads are atrocious, especially in the Blue section... Class A's were crawling through the campground roads, swaying to and fro from the tree roots and potholes. I know there's a tradeoff between capital expenditures and increased income, but I won't go back until the roads and camping pads are improved, so no new $$ from me. We camped at Stone Mountain Park in a Travel Trailer. Go to Huskers restaurant nearby... excellent food! This is a large campground to meet every need...from big rigs to tents. It is clean and nice and fun to be right at Stone Mountain. Our site was level back-in with FHU-50 amp. Woodsy with many sites having lake views. Pool. Wifi worthless. Cable. Almost all sites are back-in and, unfortunately, all that we saw require backing in from the driver's blind side, so be ready for this. Internal roads are OK but in need of some repair. The campground and the park have two different addresses. Use the park address when doing GPS. They have discounts but you must ask for them when registering; they won't give it to you later and they don't ask. We camped at Stone Mountain Park in a Fifth Wheel. Stone Mountain is great. There are other activities, but call campground as not all are offered all the time...they greatly scale back after summer. Never will stay here again! Both hubby and I plus our dogs got some type of bug bites that weeks later still bother us. Roads were treacherous, narrow and winding. Site was asphalt, uneven and needed repaving. Rather closely spaced though very shady. Park hosts the Stone Mountain carvings. NOTE nothing going on after Labor Day!!! Not worth the time or energy to stay here. WiFi is a joke. I could never connect even during the middle of the night or during the week days when no one was around. The only plus is they had garbage pick up at campsite. We camped at Stone Mountain Park in a Travel Trailer. Driving to our campsite the roads are desperate need of repair. We stayed here on our way to NOLA. Our reservation called for a pull thru site. The site # was 338. It was a pull thru site, however the rear stabilizers where 3 1/2 feet off the ground. I had to hunt around for some additional rocks. I finally found a broken cinder block and I dragged over a big boulder to be able to secure the rear of our TT. Stone Mtn. is an awesome place. Don't let the campground keep you from seeing the mountain. We had a reservation at this campground on our way home. I requested a back in site # 321 which was perfect. 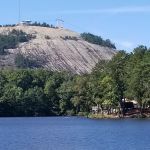 We camped at Stone Mountain Park in a Travel Trailer. This was a clean, well managed campground. Sites are a little close together. Roads are well maintained. Close to Stone Mountain Park activities. We camped at Stone Mountain Park in a Travel Trailer. We had one of the premium "purple" sites that included: large wooden deck, picnic table, and gas grill. This loop is close to the pool, playground, camp store, etc. Even though it was a back in site, it was easy to enter and spacious. The grounds, pool, and other amenities were well cared for and and meticulously kept. There is plenty to do at this park; both paid and free. The staff throughout the park were all friendly and helpful. WiFi at the campground worked well. We camped at Stone Mountain Park in a Fifth Wheel. There is a non-refundable entrance fee of $15 (at the time of our visit). Once paid, you get a vehicle pass at campground check in that is good for the length of your stay. If you enjoy hiking, the hike to the top of Stone Mountain is fun. Wonderful park! Nice spots. Easy access to the shuttle to take us to stone mountain. The park had many Things going on while we were there. There was a church service in the pavilion on Sunday and a game night on the Saturday night before that. The store was well equipped and the people were very friendly. We had easy access to bass buildings and the dog area was very large. We camped at Stone Mountain Park in a Motorhome. Gorgeous site on small hill with view of lake and mountain. Woodsy and pretty view of lake and mountain. Park staff helped us back motorhome onto site. Lots to do inside the park. Grounds well maintained and clean. Stores, restaurants, etc. outside park entrance as well as some inside the park. Expensive but pretty. Had to pay 15. parking fee for stay plus nightly fees. Only problem jacks did not fully extend; had to use blocks. We camped at Stone Mountain Park in a Motorhome. The premium sites are worth it - they have a gas grill and a nice lake view. Nearby large shopping centers with usual box stores and groceries. Pick a spot off of the main drag. 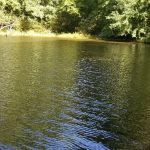 If possible look for sites that offer views of Stone Mountain Lake. Super-Walmart is 2-3 miles from the park entrance. Ask for a lakeside site or pull through to avoid backing in on the blind side. The Atlanta Aquarium is a must see. The fireworks show at Stone Mountain Park is very nice. Definitely go to Stone Mtn. Park. The campground has free transportation to & from the park. Great fun! Awesome fireworks & laser presentation! The turns of the roads were tight for us (27ft. Class C) so the big rigs had to be very careful. We had a nice view of the lake without paying the extra for the 'lakeside' spot. There is a very convenient shuttle bus that goes to the main attractions and the nightly Laser Show. It is possible to spend your whole time in Stone Mountain without a vehicle. Lots of places to hike and sight-see in the park. The little village attraction was kind of boring. Being near Atlanta, there is no limit to entertainment, shopping, and restaurants. The mistake we made was not having enough time to see everything within the Stone Mountain Park. Our grandchildren did not want to leave. I am looking forward to taking them back. Made the mistake of getting to Atlanta around 4:00 PM. Never again!! The traffic is horrendous lasting well into 7:00 PM. Tried to go out for a bite and wound up following WAZE for an alternate, back road route. Be forewarned. Atlanta is close by and we went to CNN for a tour. Kind of fun to see the operation but kind of pricy. Stone Mountain has many things to do. Would definitely recommend it. Don't follow gps. Call ahead for directions. Atlanta city pass! Hike around the little island and, of course, hike up to Stone Mountain. Right at Stone Mountain, Golf. If you are going to visit the attractions at stone mountain, do so before the firs of October. The adventure park is fun for the whole family and includes suspended rope courses, a real train that goes around the mountain, a sky lift that goes to the top of the mountain, putt putt golf, shops, and restaurants among other attractions. Try to attend the laser light show on the mountain, fun and free. Lots to do, great area! We stayed here for a week. Everyone friendly, very sociable place. Lots of kids, but all seemed well behaved. We did the Adventure Pass, which included a lot of the amenities within the park. The booths are kind of tight for a big rig for entry to the park. Stay away from pull throughs which honestly are more trouble than they are worth and aren't well-paved. Avoid the lasershow/fireworks. Nice drive around the mountain. Would have liked to do some biking and walking on the many trails and toured the historic square where the outdoor museum is located. We plan to stop again. We visited the World of Coca Cola, the CNN tour, the Georgia Aquarium, and the Jimmie Carter Presidential Museum. Great hike to the op of Stone Mountain also. Campground offers a 2 for 1 attraction pass. If you go to the laser show, no need to pay for seating packages. Great seats are free on the lawn. 1 1/2 mile hike to the mountain top is beautiful. You need to be in reasonable shape but not a fitness junkie. All day pass at Stone Mountain attractions price reduced at 2 PM. Worth the wait for adults if interested only in train ride and skyride. You may want to pay full price if kids want their type of activity. Hike the Cherokee trail, great trail going around the mountain with great views. If you like BBQ eat at Fox Brothers in Atlanta. Best ribs I have ever had. Very convenient to the park and nearby Stone Mountain Village. This campground is located in Stone Mountain. The walk to the top of the mountain was just a mile but strenuous. The view made the walk worthwhile. The activities were open on Saturday only due to the season. You can take a free shutter to the marketplace and laser show. Atlanta is about 20 minute drive. Walmart was 2 miles. Bring all your leveling "tricks"
Enjoy the area. Read about the place first. It is not for everyone. The stone mountain area is a little confusing. Maps were very poor and did not show everything in the area. We walked down stone mountain but got lost trying to find our car in the lot to take the tram up. Totally different area about a mile away. For some reason most kiosk were closed for drinks and ice cream and it was 90 degrees on a Sunday in July. It is a good place to stay to visit Stone Mountain area. 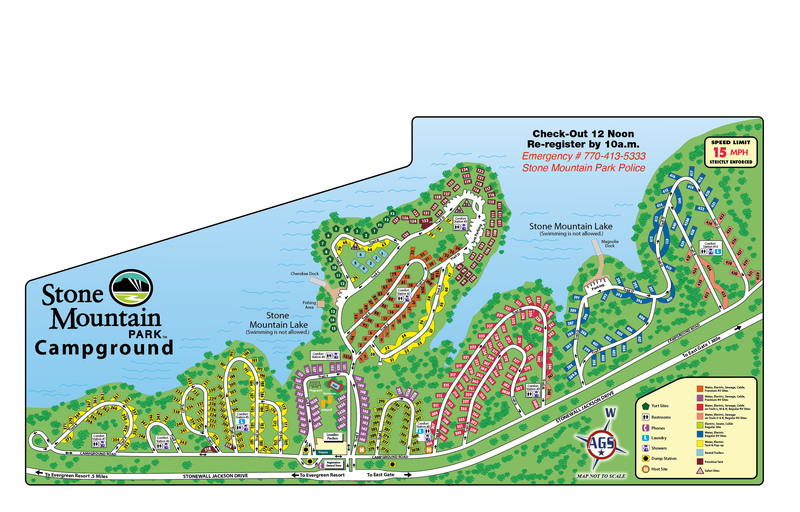 Are you affiliated with Stone Mountain Park ?